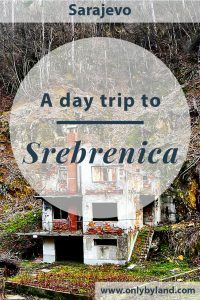 I visited Srebrenica on a day trip from Sarajevo. I organised a private taxi through Hotel Logavina 8 in old town Sarajevo. 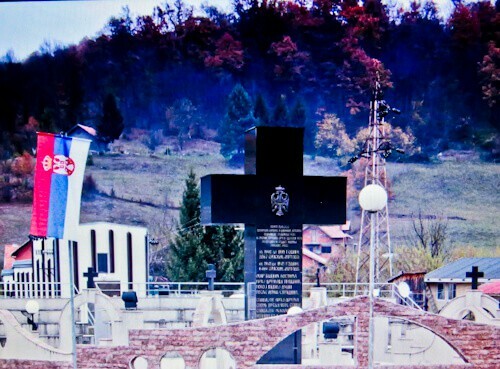 A memorial which is often overlooked is the Bratunac memorial in memory of Serbs who were massacred. It has been proven that before Bosnians were massacred that in fact, Serbs were massacred. Srebrenica was a Bosnian stronghold which was surrounded by Serbs. For this reason, the Bosnian army led by Naser Oric would attack nearby Serb villages, kill the people before taking their food and supplies. Essentially, Naser Oric and his army were looting. It’s believed that thousands of Serbs were killed in the Serbian towns surrounding Srebrenica. They were tortured and beaten to death as a result of the Bosnian army being short of guns and ammunition. 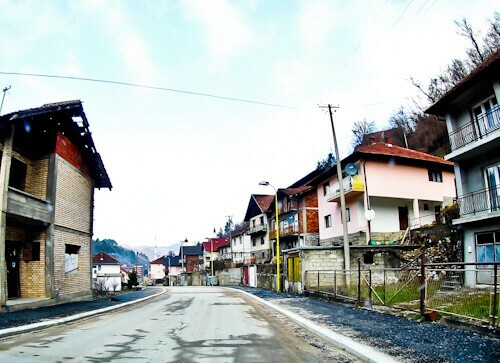 As you drive to and from Srebrenica you’ll pass through Muslim and Christian villages. 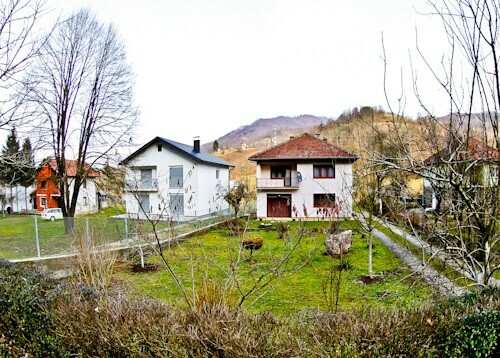 These communities lived in peace throughout the Yugoslav era. In fact, it’s because they were living in peace that they became so integrated. As a result Srebrenica became a huge Muslim town surrounded by Christian towns. Resolving this problem during the independence of Bosnia was a huge challenge. A challenge which the UN ultimately failed to resolve. Can you tell the difference between a Christian and Muslim house? A big clue is in the roof, one has 2 slopes whilst the other 4. For this reason, it is easy to identify who is Serbian and who is Bosniak. During the Bosnian war, Srebrenica was a safe zone protected by the UN. Additionally, it was controlled by Naser Oric who was essentially a war lord. It’s believed he would sell UN aid to the civilians to make himself rich. By the same token, he would also attack nearby Serb villages. Importantly he swore that he and his army would protect Srebrenica to the death, even claiming they would come back as ghosts to protect it. Unfortunately, for the people of Srebrenica, this was not true. On July 1995, tanks of the army of the Serb Republic led by Ratko Mladic drove into Srebrenica unchallenged. Naser Oric and his army had abandoned the city. As you drive through Srebrenica, you’ll see hundreds of bullet hole ridden buildings. The devastation is more overwhelming than Mostar in the west. In fact, there are several huge landmarks which still stand as ruins. Even the town hall and central plaza stand as a ruin. However, the people are friendly and it’s likely you’ll be approached for a chat as you explore the town. Street art inspired by war is often thought provoking. For example, the street art in Mostar Sniper Tower makes you think a little deeper than usual. 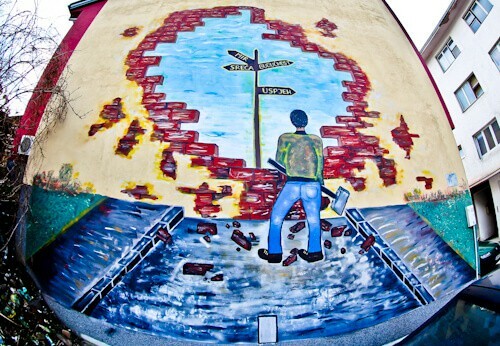 As a result of the massacre which happened in this area, there are some very strong examples of street art to admire. Ratko Mladic and the army of the Serb Republic drove their tanks into Srebrenica in July 1995. Together with the UN, Naser Oric and the Bosnian army left the town and its civilians abandoned. Coupled with the fact that innocent Serbs had been killed in nearby towns, this was a recipe for disaster. 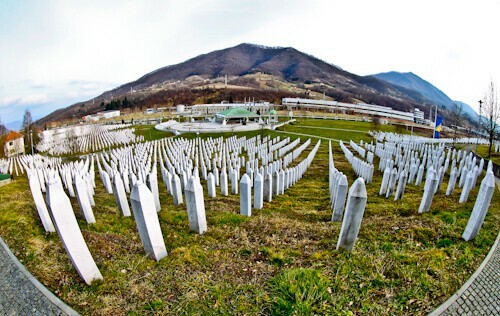 In the days that followed, thousands of muslims were massacred in what is now known as the Srebrenica Genocide. Several of the victims were innocent civilians. Eventually, the bodies were recovered, identified and placed in a mass graveyard known as the Genocide Memorial. Opposite the Genocide Memorial is the museum. It’s unlikely this will be open and you may need to pay a soldier to allow you entry. Inside there are lots of eerie photos from the massacre. It’s hard to imagine the building you’re stood in was once where they identified bodies. Furthermore, there is information on who was found responsible for the massacre. 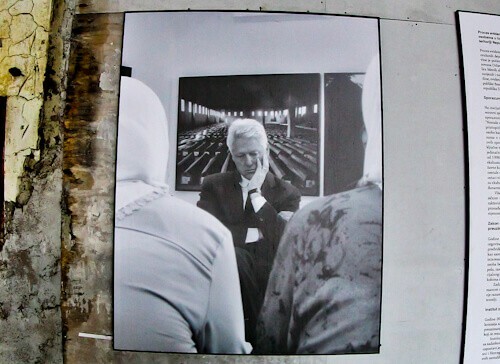 It’s rumored that Bill Clinton organised Srebrenica to be defenseless to a Serb attack. The resulting attack from the Serb Republic army gave NATO the right to begin air strikes. 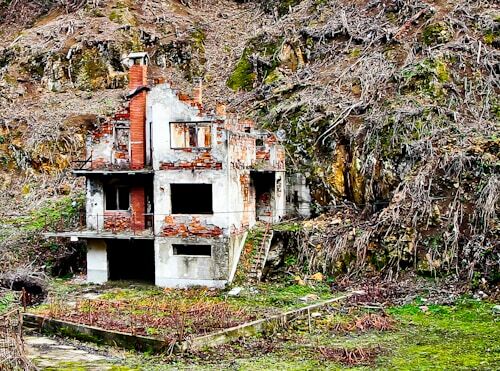 In addition, Naser Oric who abandoned his town was found not guilty for any atrocities on his part. Was a prior deal made? Was Srebrenica sacrificed? 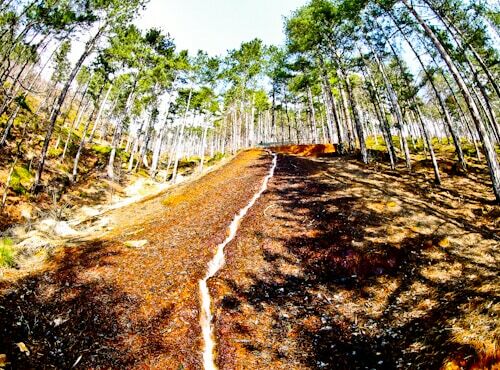 Srebrenica is the source of 2 natural springs, not to mention the beautiful landscape. The water at these springs is believed to be healing. In fact, I was told that cleaning your eyes with the water helped cataracts. Surprisingly, after washing my face here, the water left strong metallic smell on my hands. Another natural spring nearby is believed to heal stomach ailments. I did not drink this one but my taxi driver did and he seemed OK afterwards! 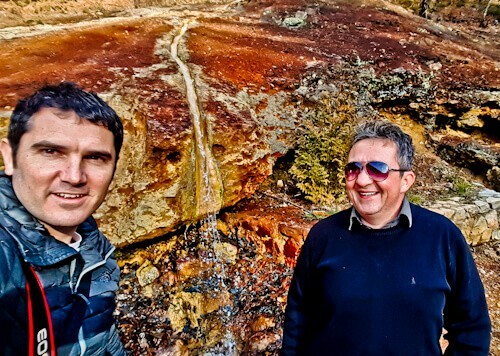 Additionally, a huge resort is being built between these 2 natural springs. For this reason, the future of Srebrenica could be a prosperous one. I organised a private taxi through the Hotel Logavina 8 in Sarajevo. It turned out to be an extra special trip as the driver was a former Bosnian soldier. He’s a Bosniak and defended Sarajevo throughout the Siege of Sarajevo. In fact he was shot twice during the siege. As a result, I highly recommend this private taxi for your day trip from Sarajevo to Srebrenica. Furthermore, you need a taxi as the points of interest are spread out and you cannot simply walk between them. Visit the Mostar Sniper Tower or the Sarajevo War Tunnel.